Just Tell Me That Your Active By Posting Something Here!  Hey what servers do we play on now? I haven't seen anyone from the clan for like... ever. I'm playing on Australian servers. Love the ping but i'll play with you guys every once in a while Just give us a server. I'm gagged in InS don't know why. idk how to get ungaged can;t change name. Im sort of active, but very busy with school and stuff. So I hardly got any time to play cs.